This is a sponsored post on behalf of SKIPPY®. Opinions are my own. The Academy Awards ceremony takes on February 22nd, and I am really excited this year because I’ll be having a few friends over for a fun Oscar party. 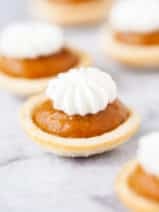 As I planned the party menu, I knew I wanted to create a small, delicate and sweet treat to serve my guests. Inspired by the golden color of the Oscar, I’ll be whipping up this decadent peanut butter and salted caramel fudge featuring SKIPPY® Peanut Butter Spread with Salted Caramel. The best part? 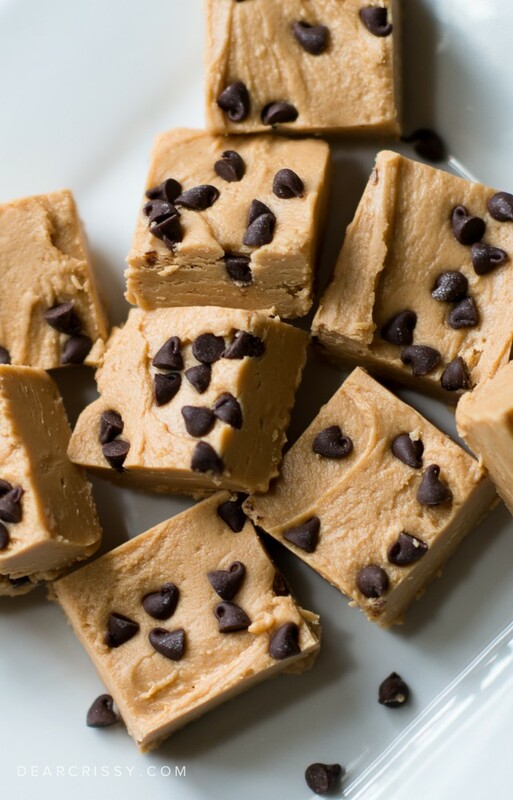 You can make this fudge in about five minutes using just a few ingredients and your microwave! 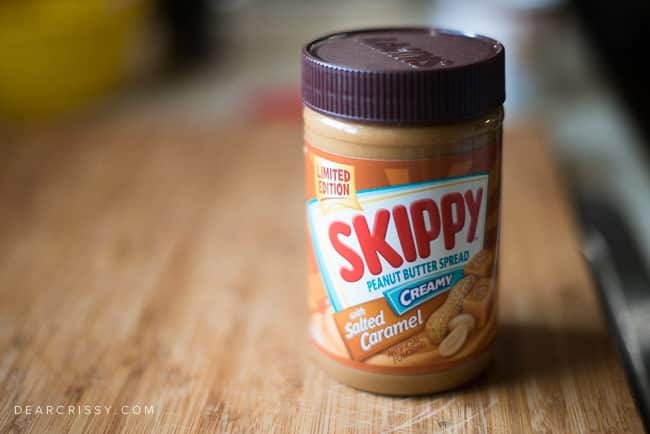 I’m already a devoted SKIPPY® Peanut Butter fan, so when I heard about the limited edition SKIPPY® Peanut Butter Spread with Salted Caramel I knew I had to try it. My kids actually adore this product spread on sliced apples, and I have to admit, I love it that way too. 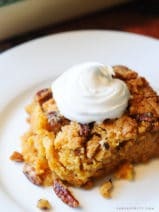 That perfect blend of salty and sweet is perfect paired with the tart crunch of an apple. 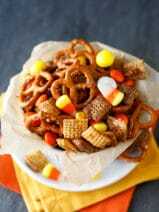 It’s also quite delicious spread on crackers, and can really transform a variety of foods into a really special snack. You can learn more and check out some fun tidbits about this product on the SKIPPY® Tumblr page! This fudge recipe is truly foolproof. 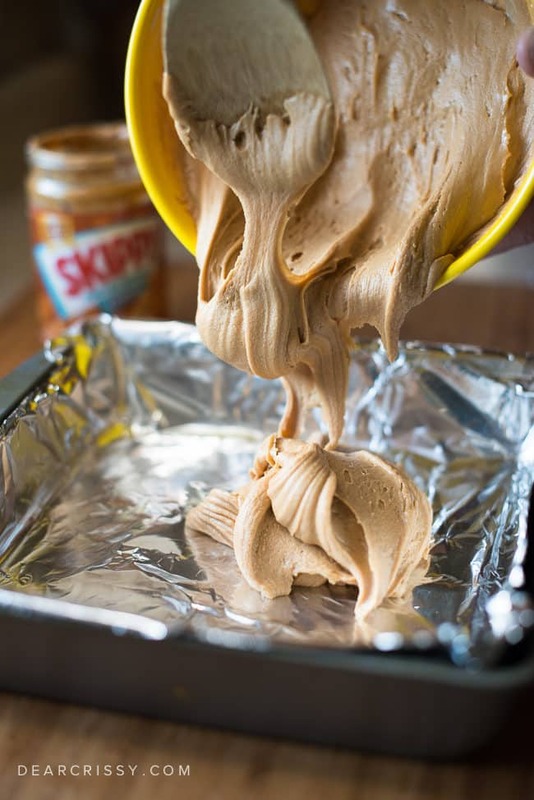 You simply melt a tub of frosting in the microwave and stir into the SKIPPY® spread, mixing thoroughly. You can then spoon the mixture into a foil-lined pan and leave as-is or add nuts or chocolate on top. I added a few mini chocolate chips just to dress up the fudge a bit. I will be serving this treat on Oscar night, so presentation is everything. I’m using mini cupcake liners to separate the pieces of fudge for easy serving at our gathering. I also find that this is one more way to fancy-up the fudge pieces. SKIPPY® Peanut Butter is one of those products that I really associate with my childhood, and as a mother, the tradition continues with my PB&J loving little ones. It’s so fun to see this brand coming up with new flavor combinations and I’m more than happy to give each and every one of them my stamp of approval! Even if you’re planning a simple evening at home in your pajamas on Oscar night, I hope you’ll try this super easy fudge recipe. It will definitely add a touch of class and little sweetness to your evening! Be sure to follow SKIPPY® on Twitter, Facebook, Pinterest and on Tumblr. 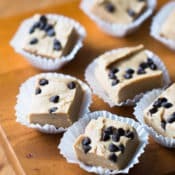 I hope you enjoy this recipe for easy salted peanut butter fudge and I’d love to how you’ll use SKIPPY® Peanut Butter Spread with Salted Caramel! Line a 9" x 9" inch dish with foil. In a microwave safe bowl add vanilla frosting. Microwave 1 minute. Stir in peanut butter spread until combined and smooth. Pour into pan and spread until smooth. 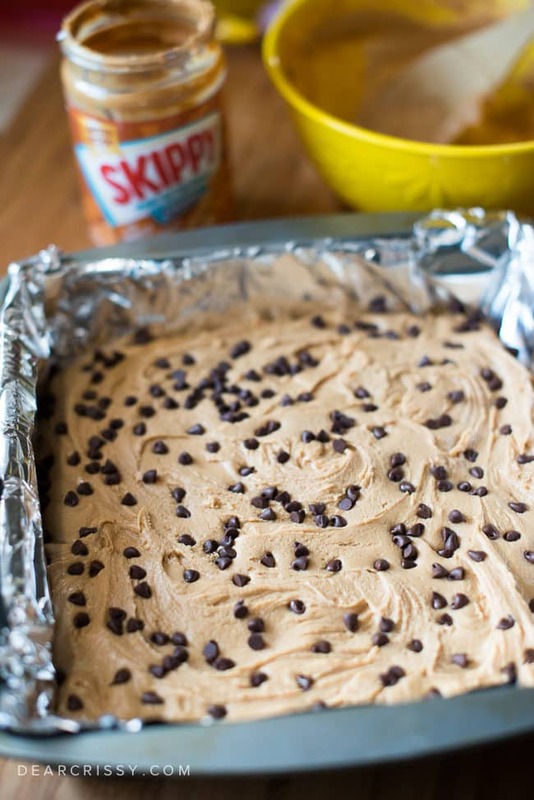 Optionally, mix-in or sprinkle the top of fudge with chocolate chips. 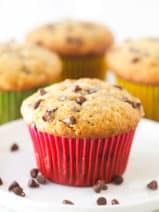 I used mini chocolate chips. Refrigerate until firm. 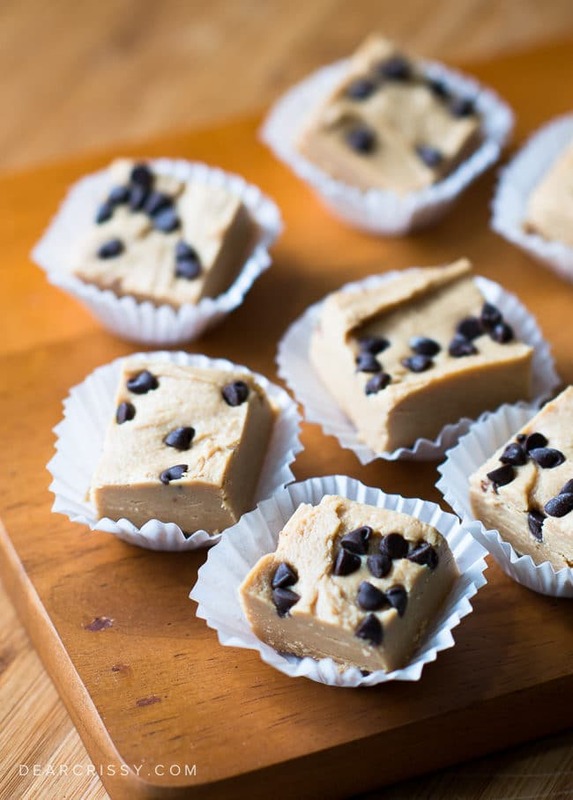 Remove fudge from the pan using foil and cut into squares.